The high percentage of graphite in our special grey cast iron keeps weld spatters from adhering to the table surface. Graphite protects your welding table in the same way against spatters as it keeps metal from adhering to foundry molds. Even larger specks can easily be removed with a brush or a chisel, and the evenness of the table surface is not affected over time. Graphite particles are re-applied frequently by spraying the table surface with a protective oil-graphite mixture, that penetrates the porous surface and provides a perfect protection against adhesion of welding spatter. 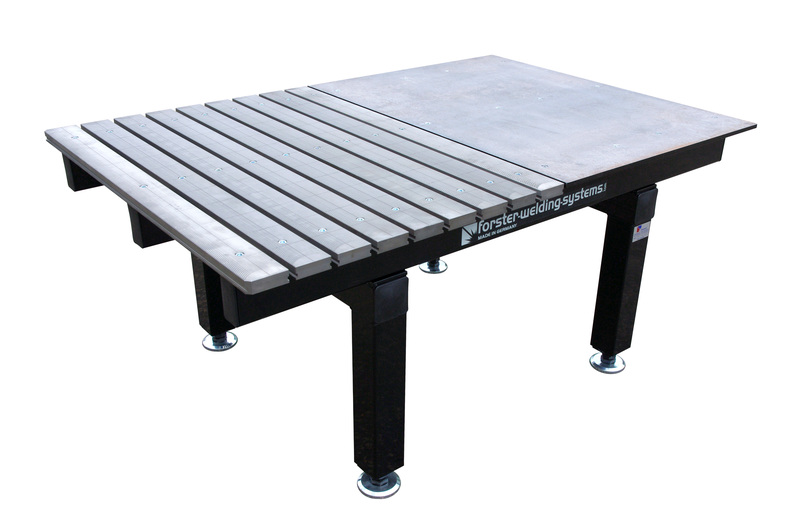 Further advantages of grey cast iron plates are a lower thermal expansion compared to steel, and sound-absorbing properties to ensure a pleasant work environment.